“Cancer” is a word that strikes fear in nearly everyone who hears it. “We’ve all been touched by cancer—we know someone who has or had cancer, someone who may, in fact, have been very close to us,” said Kay Angrove, director of Sam Houston State University’s First-Year Experience. Cancer research is also big business, and in this year’s Bearkats Read to Succeed selection, The Immortal Life of Henrietta Lacks, author Rebecca Skloot presents the story of cancer research that traverses disciplinary lines, raising a series of racial, ethical and historical issues that make it relevant to anyone, Angrove said. The First Year Experience Office will delve into these issues and themes through a series of presentations Nov. 5-8 that are designed to supplement and expand the book’s message. The annual Bearkats Read to Succeed Book Forum will kick off on Monday (Nov. 5) with an art reception for one of the two newly implemented Read to Succeed contests. Through the art contest, designed to encourage students to interpret and express themes in the book through the medium of art, the FYE will recognize three students with $200, $100 and $75 prizes during the reception, which will be from 5-7 p.m. in the Lowman Student Center Gallery. The contest is sponsored by the LSC Gallery. Also new to the program is an essay contest, sponsored by the New Student Orientation program. The essay contest winner, who will receive a $500 prize, will be announced on Tuesday (Oct. 30). Students can still enter the art contest. To do so, they should drop off their original work, along with the completed submission form, in the LSC Gallery on Wednesday (Oct. 31). On Wednesday (Nov. 7), SHSU professors will discuss some of the various topics addressed within the novel, beginning at 10 a.m. in Lowman Student Center Room 320. “The Moral Value of Dignity,” by assistant professor of philosophy Diana Buccafurni-Huber, addressing human dignity in the context of medical research, from 3-4 p.m.
That evening, associate professor of history Bernadette Pruitt will serve as moderator for a “Hot Topics” panel discussion on “Race, Disease, Gender, and Education: Issues raised in the book The Immortal Life of Henrietta Lacks” from 5-7 p.m. in Academic Building IV’s Olson Auditorium. The panelists include Deborah Davis, director of pharmacy at the LBJ Hospital; Joreen Waddell, RN teacher at Huntsville High School; Carol Parker, counselor and therapist; Karin Olson Williams, doctor of internal medicine at the Huntsville Memorial Hospital; Corliss Lentz, SHSU associate professor of political science; and Jeffrey Littlejohn, SHSU associate professor of history. 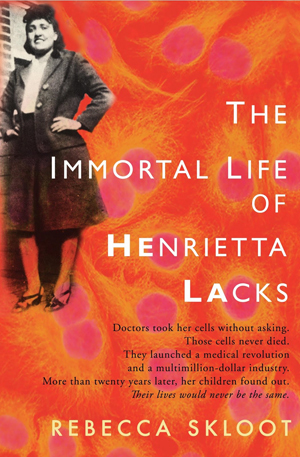 On Thursday (Nov. 8), biological sciences department chair Todd Primm will provide insight into the legacy of Henrietta Lacks’s HeLa cells, including how they are related to cancer and how they have been involved in biomedical research, during “Science of Immortal Cells,” from 9:30-10:50 a.m. in the LSC Ballroom. Henrietta Lacks's son, Sonny, will visit campus during the book forum to discuss his family's experiences that are described in Skloot's book. 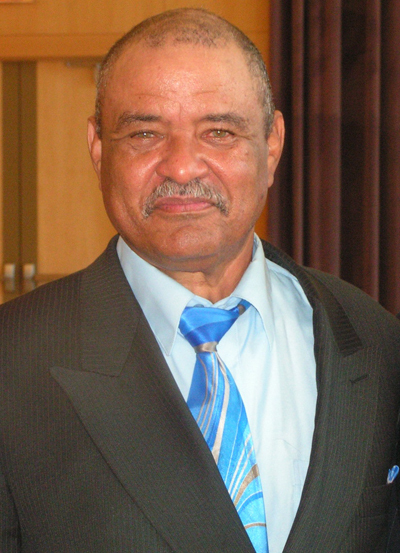 And finally, book forum events will culminate with another of Lacks’s legacies—her son, Sonny, who will be interviewed by students Risa Mitchell and Erik Johnson from 3-4 p.m. in the LSC Ballroom, which will be followed by a book signing with Sonny. During the discussion, Sonny will bring the book about his mother’s cancer to life by providing a sincere, first-person perspective on the collision between ethics, race and the commercialization of human tissue, as well as how the experience has changed his family forever, Angrove said. While on campus, Sonny will meet and have dinner with the winners of the inaugural Read to Succeed essay contest and the art contest on Nov. 8. The Bearkats Read to Succeed program is designed to create a common academic experience, to facilitate a campus-wide cross-disciplinary conversation, and to enhance the community among students, faculty and staff. For more information, visit the Bearkats Read to Succeed website at shsu.edu/~fye_www/read.html. Those interested in scheduling a large group to attend one of the featured events should contact Angrove at fye@shsu.edu or 936.294.3423.